As I look through Madeline's shop, The Virgin Rose, I think of my patients and their families in the ICU. I think of the small altars they place in the rooms, with pictures, crosses, saints, and unlit candles. 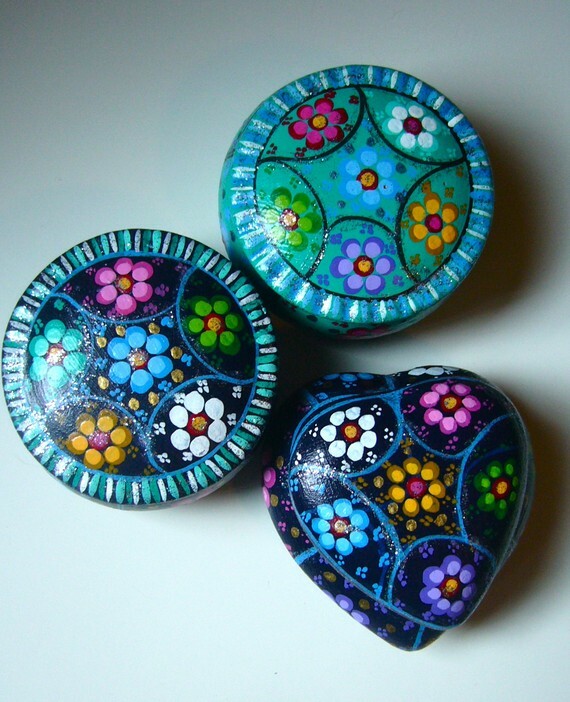 I think about how powerful a small token can be during times of grief and times of joy and can't help but admire, be inspired, and fall in love with the beautiful artwork that accompanies. Madeline's shop is full of unique Mexican inspired pieces. Every single one says so much... about death and ritual, life, expressing one self, Mexico and culture. I am so happy to show her off to you... and know you will fall in love with her and every single one of her pieces as much as I have. Madeline is a New Zealander living in Mexico City. I can't help but fall in love with her story on how she got there because it's proof again that love has no boundaries. She met her partner at a Festival in Cannes, France, followed her heart across the world to Mexico to be with him and has been there now for the last two years. "a big culture change as you can imagine"
"I haven't been working since I arrived so I decided to use my creative side to keep me stimulated during my day's here and The Virgin Rose was born! I love the bright colors of Mexico and they have such beautiful arts and crafts here that I was so inspired to make some for myself. I then decided to set up shop on Etsy which was the best decision! What a fantastic community of artists and art lovers!" 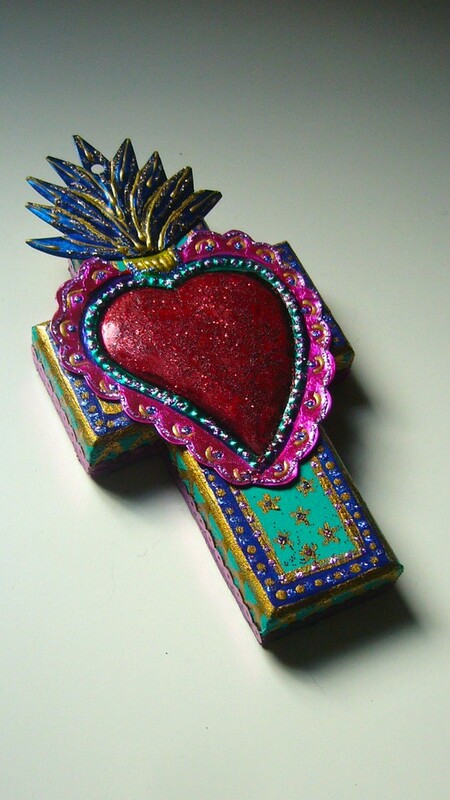 "I love producing all my pieces which are inspired by Mexican themes-Day of the Dead, Our Lady of Guadalupe, Frida Kahlo, Sacred Heart, Loteria, and I have many Mexican materials such as the tin nichos and tin sacred hearts which are a huge delight to paint and decorate! I'm constantly on the search for new materials and new inspiration, hence the large range of pieces I have in my store. 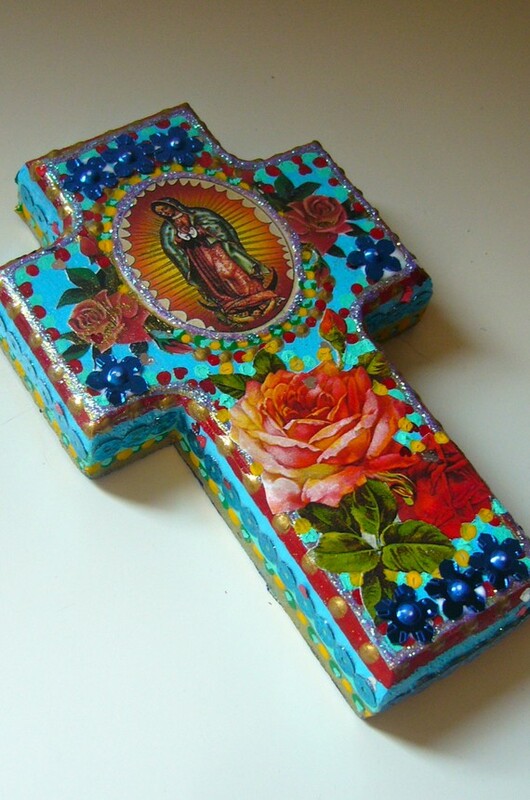 I make every single piece of art with love and attention to detail and my customers are wonderful people looking for a little piece of Mexican art or just a lovely addition." Isn't all of this just perfect? Madeline's expression of Mexico is special and shows how amazing it is to respect and love other cultures. Her love for Mexican culture is obvious. You can read more about her inspirations on her blog. Madeline has something special for you! 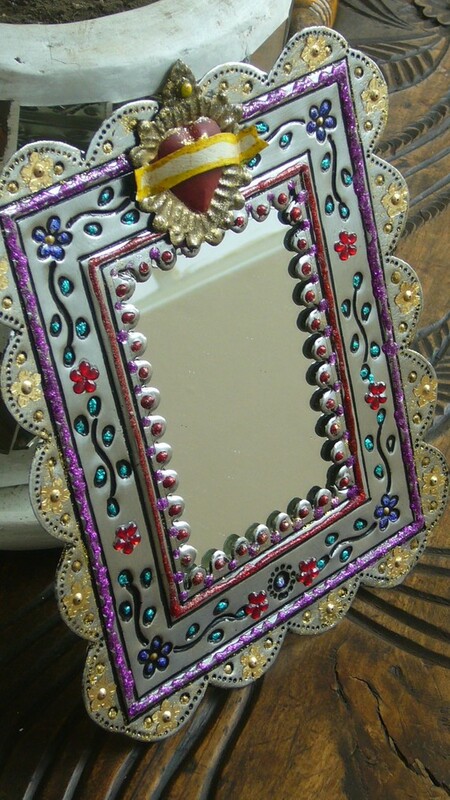 She has made it specially for one of you...it's a surprise... just a small trinket to display in your home or make a beautiful gift for your amiga. Leave a comment telling me your favorite piece or what you like about her art by March 18th 12pm. I will randomly pick one of you. And let you know if you win! Good luck and always, always be inspired!!! *giveaway now closed: Lisa is the winner! What a great shop! I like her Frida Kahlo - Day of the Dead Paper Mache Skull. The bright flowers are a great contrast to the black and white skull. Cool shop! Such bright and beautiful colors. I love the Multi colored Mexican tin nicho with bird. I love it! I can't decide between the trinket boxes and the crosses. I love the vibrant colors of the Mexican culture and she captures this really well. Gracias, Marcela! What an excellent find! Absolutely gorgeous! So colourful and meaningful. I love all the bright colors. Such beautiful art. Thanks so much everyone.... It is such an honor to have such a lovely article written about me and my work The Virgin Rose. Thanks so much to Marcela! I also have a blog, so please feel free to check it out. I love everything. The colours are so beautiful. And you can just feel the pieces are made with love and happiness. My favourite piece is the Vintage Our Lady of Guadalupe on blue cross. 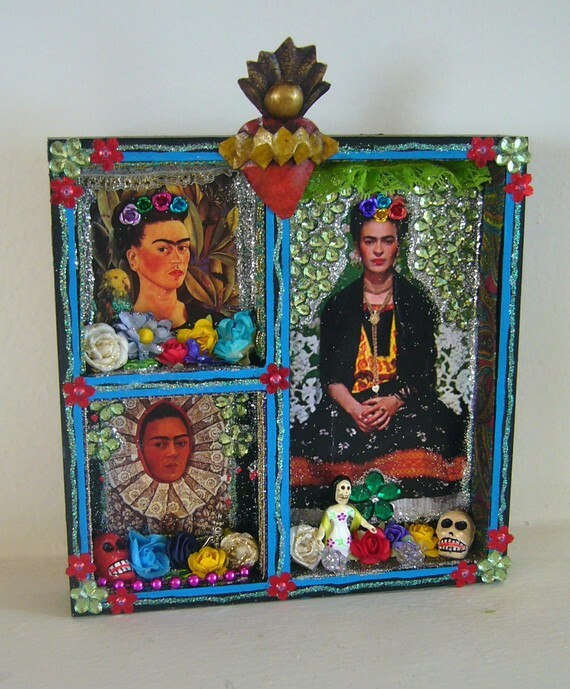 My favorite is the Mexican Doll Collage Frame. 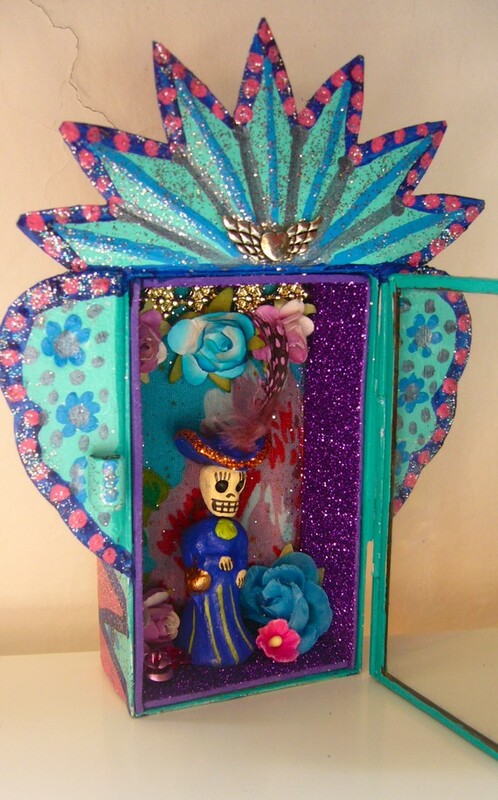 But really, all her work is just amazing, she really captures the vibrant colors of Mexico. Love that. so sad is to late but everything es lovely, I love frida kahlo style!